The DGS-3312SR is a versatile addition to D-Link’s Business and Enterprise Solutions line of products. The modular design of the DGS-3312SR allows it to function as a stand-alone backbone switch or as a high performance stacking master unit for the DES-3226SM, adding Layer 3 routing functions to your existing stack. The DGS-3312SR is a versatile addition to D-Link’s Business and Enterprise Solutions line of products. The modular design of the DGS-3312SR allows it to function as a stand-alone backbone switch or as a high performance stacking master unit for the DES-3226SM, adding Layer 3 routing functions to your existing stack. The DGS-3312SR ships standard with (4) 10/100/1000Mbps/combo SFPs with (2) additional expansion module slots. Available expansion modules for the DGS-3312SR include: DEM-540 (4) port stacking module, DEM-340MG (4) port SFP module, and DEM-340T (4) port 10/100/1000Mbps module. With a 24Gbps switching fabric and forwarding rate in excess of 17 million packets per second, the DGS-3312SR is an ideal solution for large workgroups or small to medium backbones. 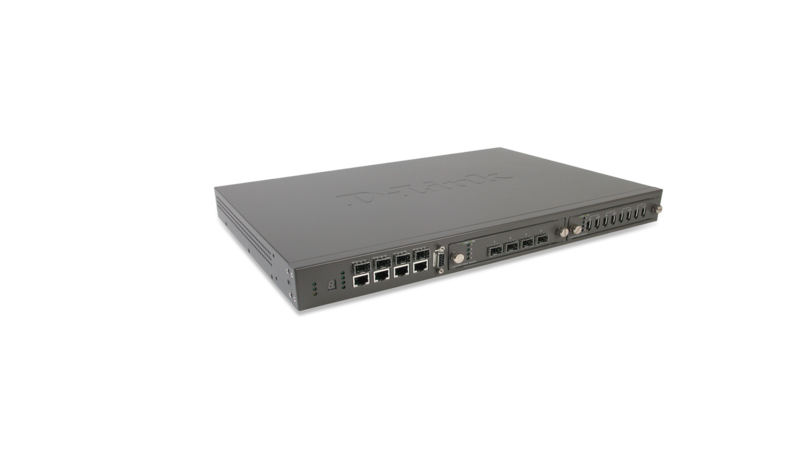 As a stand-alone switch the DGS-3312SR supports up to 16,000 MAC addresses, jumbo frames, and (8) hardware based priority queues. As a stacking master unit for up to (8) DES-3226SM units, the DGS-3312SR provides up to 9.6Gbps of available stacking bandwidth. The hardware and software features of the DGS-3312SR work together to allow customers to build affordable, high performance, and high availability networks. The DGS-3312SR unit supports the DPS-200, D-Link’s optional Redundant Power option, and the DPS-800 (2) slot rackmount chassis system. Other features of the DGS-3312SR include support for 802.3ad (Link Aggregation), 802.1d (Spanning Tree), and 802.1w (Rapid Spanning Tree) for increased network reliability and availability. The DGS-3312SR supports a variety of routing options including: static routes, RIPv1/v2, OSPFv2, PIM-DM, and DVMRP. The DGS-3312SR supports a variety of network management options including: Console, CLI, Telnet, Web, SNMPv1/v3, RMON, TFTP, Port Mirroring, BootP, and DHCP. The DGS-3312SR also supports a variety of advanced traffic management options including: 802.1x, Bandwidth Control, Broadcast Rate Limiting, and support for IGMPv1/v2 Snooping. The DGS-3312SR implements a robust and consistent set of QoS/CoS, VLAN, and Security features. The DGS-3312SR includes support for up to (8) priority queues for 802.1p/TOS/DiffServ, with classification and marking based on MAC SA/DA, IP SA/DA, and/or TCP/UDP port numbers. Security features include: 802.1x (Port/MAC based authentication), and Access Control Lists based on MAC address, IP address, and/or TCP/UDP port numbers. The DGS-3312SR also has extensive support for GARP/GVRP, 802.1q, and port based VLANs for up to 255 static groups per device.